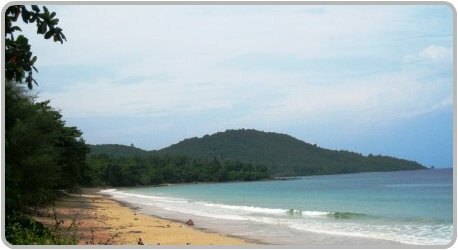 Klong Muang Beach is picturesque with beautiful views across to the offshore islands. 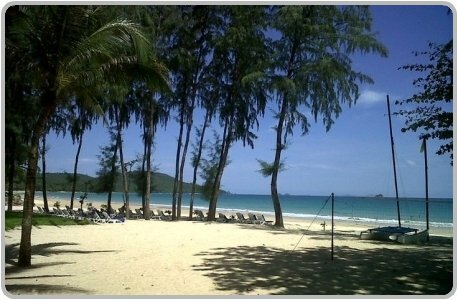 This secluded beach is located directly to the north of Nopparat Thara Beach and about a 20 minute drive from Ao Nang. 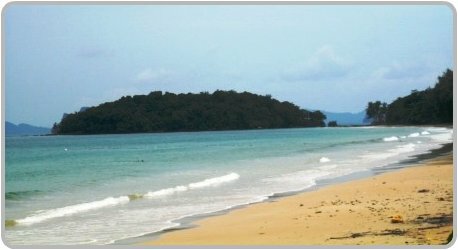 The beachside location is the perfect spot for romantic getaways, family beach vacations or if you are just looking for a relaxing spot in a secluded area away from the main tourist areas in Krabi. The beach although picturesque, is not that great for swimming especially on low tide. The main drawcard at Klong Muang is the fantastic selection of upmarket, luxury five star resorts and hotels which have direct access to the beach. Some of the resorts you will find include, The Sheraton Krabi Beach Resort and Beyond Resort Krabi. 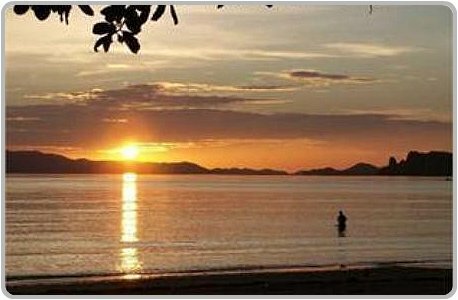 There is also a range of cheaper priced budget hotels and bungalows available in the area. The nightlife at Klong Muang is very low key, however there are a few beach bars as well as the restaurants and cocktail lounges that are within the grounds of the resorts. Between the Sofitel and the Sheraton there is an Irish pub called Paddy’s which has a good selection of imported beer and pub food. Another great spot is The Terrace Restaurant which is located near the Sheraton Krabi Beach Resort, the food is delicious and reasonably priced. There is not a lot of places to go shopping in Klong Muang, apart from a 7 Eleven and the Klong Muang Plaza, where you can find a range of shops selling handicrafts and souvenirs, cafes and boutiques. If you want to do some serious shopping, a few hours worth at least, there is a really good selection of shops at Ao Nang. If you're looking for a beach in Krabi that is not over crowded with mass tourism then Klong Muang is the perfect spot to relax and unwind. See what other travelers have to say about Klong Muang on TripAdvisor.